The current biggest agenda for us in India is to find talent to make the initiatives happen all across the country. In these times of hectic lifestyles and busy schedules, the benefits of knowing how to cook and eating a home cooked meal are often overlooked. However, it’s been proved time and again that people who cook at home tend to consume fewer calories, fewer carbohydrates, less sugar and less fat, than those who cook less or don’t cook at all. Cookpad is on a very similar mission here in India – to improve people’s lives by making everyday home cooking more fun. Cookpad provides a free online recipe-sharing platform open to everybody, worldwide. 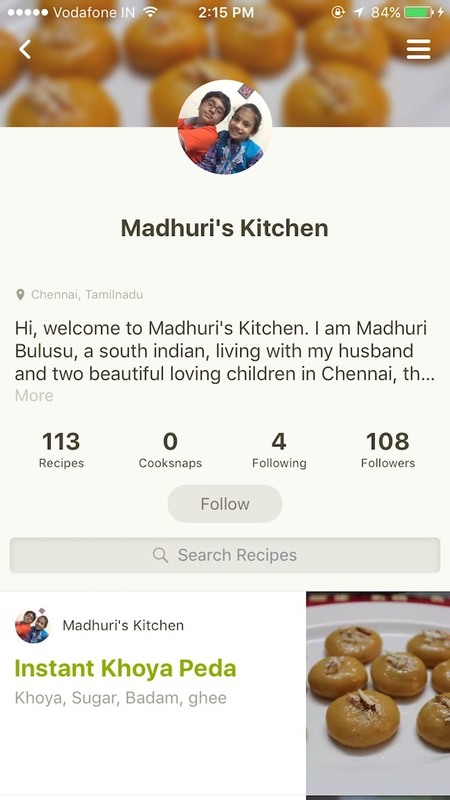 You can search for recipes published by users near you, share recipes with friends and family, chat about cooking in real-time and share questions or advice with your loved ones. Cookpad Inc. is the world’s largest online recipe-sharing platform. Though it is relatively new to India (started December 2016), Cookpad began in 1998 in Japan. In 2014, Cookpad went global and today hosts over 2.5 million homemade recipes available in Japanese, English, Spanish, French, Italian, Indonesian, Arabic, Vietnamese and is adding new languages and countries on a regular basis. The company went public in 2009 and is listed on the Tokyo Stock Exchange. Cookpad global head Tomoya Yasuda took time out from his busy schedule to talk to TNM on a range of issues including how the company began, its objectives in entering the Indian market and its growth prospects. What is Cookpad all about and how did it start? Cookpad started 20 years ago with a mission of making every day cooking fun. We believe that by making everyday cooking fun, we can positively impact people’s lives because if you cook every day at home, you will naturally eat healthier and also you will understand where the ingredients come from. Naturally, you will be aware of the food security issues, environmental issues. So that’s the reason why we set up the company. At the moment, we have one product which is a recipe sharing community online. By now, audience wise, we have roughly 90 million monthly unique users globally - roughly 60 million in Japan and 30 million internationally. We went global almost four years back. We are now present in 18 countries, including India, Spain, Lebanon, Indonesia, Hungary, Russia, Greece and many other countries. Now our global headquarters has been set up in Bristol, UK last year. When did you begin and how did the concept come about? 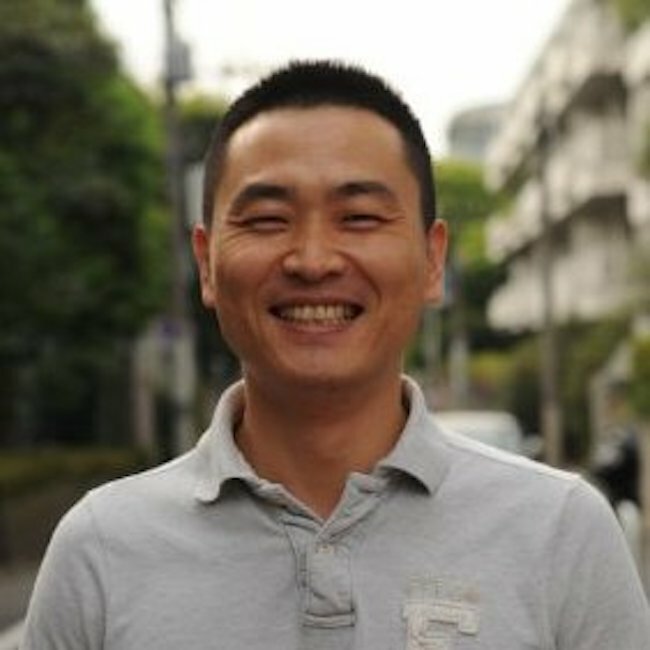 We started in 1998 and the founder was Aki Sano, who was a software engineer. He wanted to help local farmers to sell their produce. A farmer was selling the vegetables but he identified that in peak season, there is so much excess produce that the farmer cannot sell all of it. He identified that the farmers have knowledge to eat the food in the best way because they know the recipe while the consumer doesn’t know how to eat it in the best manner. So, he could see the gap and that’s how he started the recipe sharing platform for sharing knowledge. So, how does the concept work? It’s all user-generated content. It’s a recipe format. We provide the simplest platform which is available out there to create any recipes for e.g. chicken tikka. So, you add a title, add ingredients and then how to make it. It’s as simple as that. Users have to sign up and write the recipe. Once the recipe is there on the website, the recipe becomes available not only to them but others also since they are stored in a digital format. We have seen housewives scribbling notes, referring to recipe books and trying to remember the steps for a particular recipe. But we provide them with a digital platform to store recipes forever. It always helps if you store in digital form because you can pass on to the next generation. So that’s the trend which we are seeing. Your intention of entering the Indian market? One of our mid-term goals as per our five-year plan till 2021, is to be number one in 100 countries. This is one very important KPI (key performance indicator) but at the same time India is one of the most important markets for us which we have not invested in yet. So, it’s still very early stages, I would say in India. And this time I am here to discuss how efficiently or how impactful we can be, by entering into this market together with the current members here in Bengaluru as well as the operations crew globally. Our goal is to capture as diverse recipes as possible. So, we want to cover as many regions as possible in India. Basically, what we see globally is that we aim for local people because every recipe is user generated. 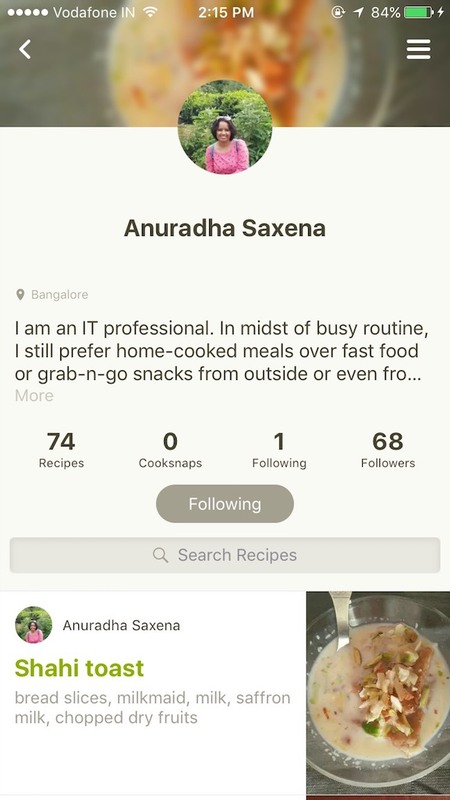 So sometimes, the knowledge or expertise of home cooks doesn’t get appreciated by other people whereas on our platform, their knowledge or expertise will be appreciated not just within the country but outside as well. This is something we want to encourage more. Are you working with the government in any way? Not as of now, but probably if there is an interesting opportunity where the mission of the company and the government’s mission align, then we may enter into a partnership. At the moment, our mission is to make everyday cooking fun. The goal is by making everyday cooking fun, we want to raise awareness of the food security, food scarcity, environmental or healthcare issues. So, I think naturally, one day we might be able to work with those authorities. In order to make everyday cooking fun, you need to have fresh products, great ingredients which inspire to create something new. To make that happen, is something we are inclined to, as a market. Do you have any CSR initiatives? No, but we may enter depending on the alignment of mission objectives. The company follows a certain mission and if it aligns with what CSR brings in, probably we will do something. What kind of growth are you looking at in the Indian market? The growth numbers are very small at the moment. As I said, we have not invested in the Indian market yet. We just migrated the different platform into the new platform. So, we hope to make growth but our KPI is not just in the growth of the users. We want more people to cook, that’s what we are striving for. Looking at India, I think the maximum growth can come from the number of households there are. We believe that there should be at least one recipe per household per year. So that’s something we would like to capture as fast as possible. Which are you biggest markets, outside of Japan? At the moment, our largest market overseas is Indonesia followed by Spain and Spanish speaking countries like Argentina, Spain, Chile. We are also big in Arabic speaking countries like Saudi Arabia. Globally speaking, there are many small recipe-sharing websites or applications but we don’t see it as competition. May be, there are other platforms where people can easily share their knowledge but on a specific agenda, we do not see any competition. We focus on building the local communities in cities across India. There is no single application or platform which focusses on this particular target group i.e. housewives, home cooks. So, we are going to give a chance to every food enthusiast to come and share their creation and get learning as well as share their knowledge with the community. Currently, India business is not focussed on revenue and monetisation. The revenue model in Japan is more stabilised. So, we currently generate profit only from Japan. Internationally speaking, we don’t have any monetising at all. We still believe that building a community or building a platform is first priority. We invest a lot on that aspect and once it becomes a solid community, only then we think of monetising. Back in Japan, we have two revenue sources. One is the subscription business where 60% of the revenue comes from the users while 40% of revenue comes from advertisements. We are experimenting the subscription business in Indonesia and Spain a little bit. How big an opportunity does India represent? India represents a big opportunity for Cookpad and its a complex market. This is because recipes are more local here unlike other countries and cuisines are different. Say for example Gujarat vs Bengal, the recipes, the kind of food they eat, the kind of ingredients they use is completely different. So, India in itself is a very big, diverse market and it will take time to grow. That’s why the focus has been on building the local communities. We want local communities in every city. And, it’s about building those local communities and then all of them converging to make India most diverse in terms of the quality as well as variety of recipes. The largest influx of users has in fact been seen from Tier 2 and Tier 3 cities. For example, places like Dehradun, Allahabad, there are housewives, home cooks who are really passionate about cooking. What is your prime agenda in India? The current biggest agenda for us in India is to find talent. We are looking for talent. To make the initiatives happen all across the country, we need people. And it’s not just number of people, we need top-notch talents. We would like to hire as many as possible to make it happen at the fastest pace. We see huge growth in this market. To capture the diversity in the market, we need a range of people like engineers. We need talents to manage leadership, those are the people we are specifically looking for. That’s the first step for us and then building a team, building a community and eventually a business. As of now, the platform is available only in English. So next immediate target is to launch in Hindi and to target a major segment in North India which is comfortable in the local language. Hindi will not suffice, so we have three other languages in the pipeline but for each language, the timelines have been scattered till 2018.